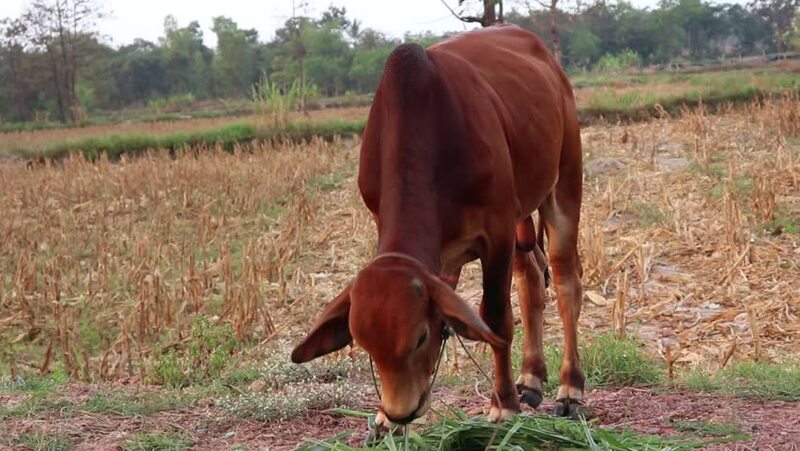 hd00:31A brown cow being fed by a Vietnamese farmer in a lush green field in Vietnam. hd00:34 Cows eating grass in a field after harvest season. hd00:21 Cows eating grass in a field after harvest season. hd00:20A late afternoon clip of a horse eating hay.